Charlesbridge Publishing, Hardcover, 9781580897020, 144pp. Fourteen-year-old Tess is having a hard enough time understanding what it means to be part white and part Navajo, but now she's coping with her sister Gaby's announcement that she's going to enlist and fight in the Iraq war. Gaby's decision comes just weeks after the news that Lori Piestewa, a member of their community, is the first Native American woman in US history to die in combat, adding to Tess's stress and emotions. While Gaby is away, Tess reluctantly cares for her sister's semi-wild stallion, Blue, who will teach Tess how to deal with tragic loss and guide her own journey of self-discovery. Lori Piestewa was a real-life soldier who was killed in Iraq and was a member of the Hopi tribe. Back matter includes further information about Piestewa as well as a note by author Nancy Bo Flood detailing her experiences living on the Navajo reservation. A pronunciation guide to all Navajo vocabulary used within the text is also included. 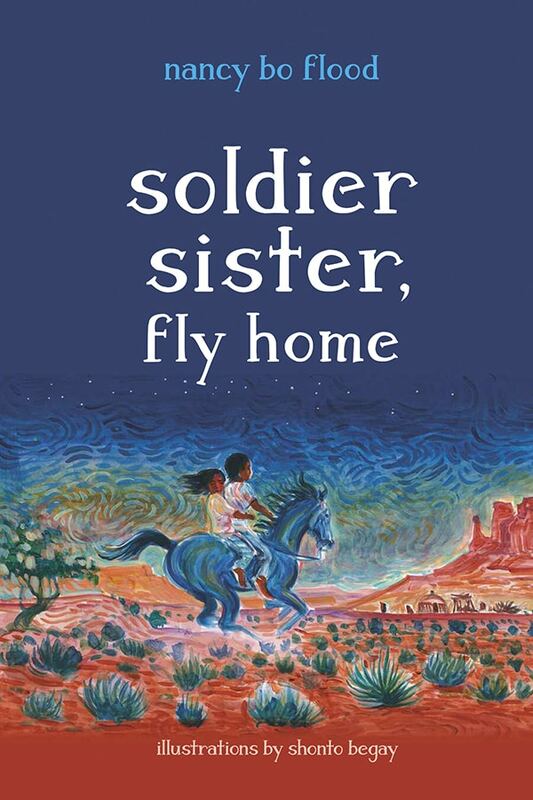 Soldier Sister, Fly Home was selected by Tuba City Library, Navajo Nation, to be their Community One-Book-All-Read (their very first community all-read!). The Arizona State Library system has chosen Soldier Sister, Fly Home, to make into an audio recording for their statewide program that brings books to patrons with disabilities. 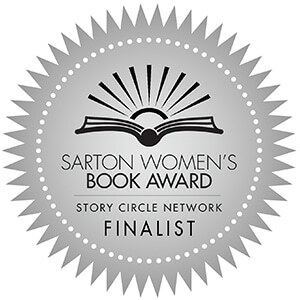 Colorado Humanities & Center for the Book announced Soldier Sister, Fly Home is a finalist in the Colorado Book Awards juvenile literature category. “The Society of Children’s Book Writers and Illustrators is pleased to announce the winner of the 2016 SCBWI Book Launch Award. The annual award, established by the SCBWI in 2012, provides authors or illustrators with $2,000 in funds to supplement the promotion and marketing of newly published works for children.